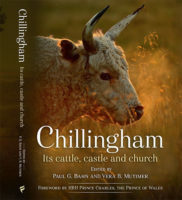 Chillingham Wild Cattle on BBC’s The One Show! 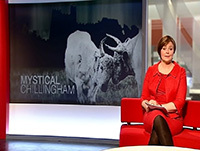 Chillingham Wild Cattle were featured during a recent epidode of BBC’s The One Show, alongside Little Mix and others. First broadcast on Wednesday 19th October 2016. Enjoy! Chillingham Wild Cattle on BBC One's The One Show – 19th October 2016 from Chillingham Wild Cattle on Vimeo. The Freddie Flintoff programme ‘Lord of the Fries’ came to Chillingham last year and he was shown the cattle from the safety of the Kubota.